Recently I made a sales call to Siskin Spine. Our staff of certified CNA and MA are able to provide one-on-one assistance to individuals who have been injured while on the job. Most Workman's Compensation insurance covers 100% of the services we provide as the individual recuperates. This was not your typical sales call. It was anything but that. 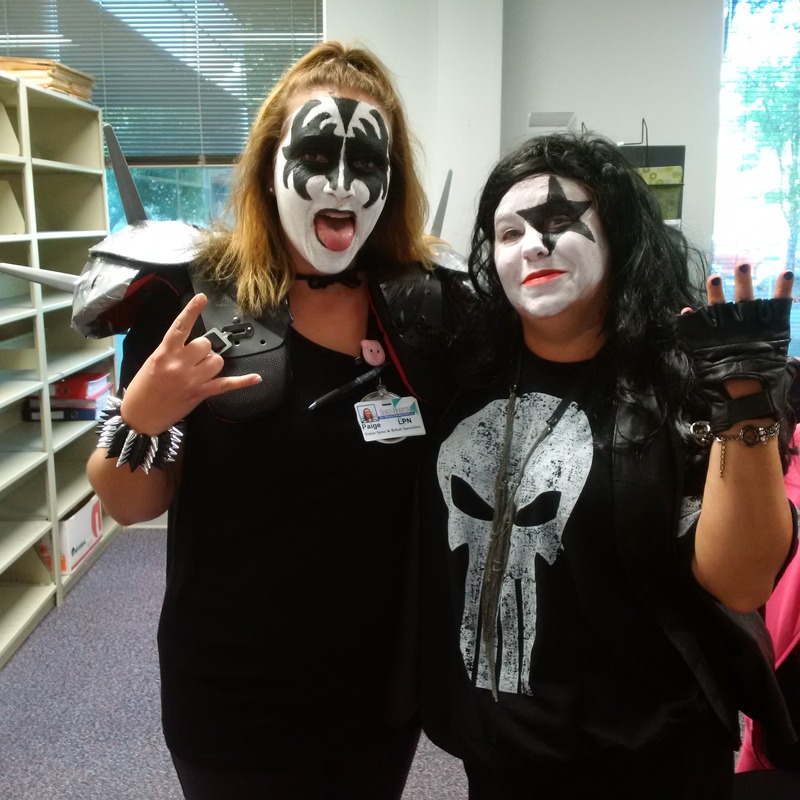 The front desk staff was dressed as members of the rock band Kiss! They had the office decorated as well! Thank you girls for making my normal day of sales call something to talk about! For more information on Siskin Spine, visit http://siskinspine.com/.